As you may have already guessed going by the title, Time Killers brings us a collection of short stories by Kazue Kato. 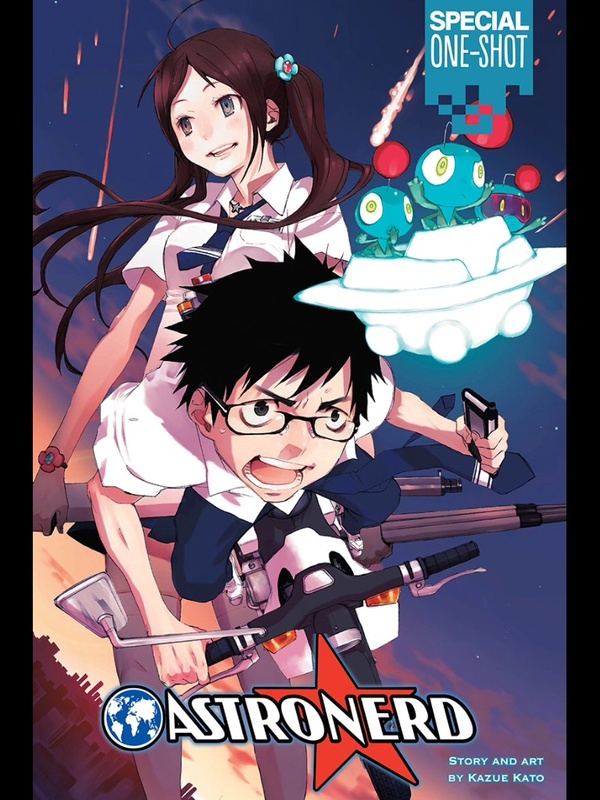 Everything from her first work Me and the Rabbit, right up to The Miyama-Uguisu Mansion Incident, which clearly inspired Blue Exorcist in a number of ways and helped shape it into the hit it later became, is a joy to read and sure to leave you with a smile on your face. 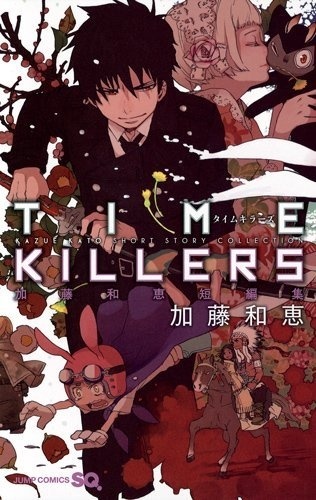 Flipping through Time Killers and the ten stories it contains leaves a clear impression that Kazue has a good eye for fantasy manga and gives us a range of different characters that, even in the form of short stories, you can easily relate and care for. Time Killers gives us the chance to see where Kazue started from and how she progressed over time, which is a joy to see. Even in her first story Me and the Rabbit she has good artwork and character designs, but along the way we can see how each story improves over the next. A Maiden’s Prayer gives us the chance to see Kazue trying out a different style of art, and while it may not have been something suited for a long running series, it’s really nice to see for one story. Flipping through the stories it’s clear that Kazue has a liking for glasses wearing characters, as at least three of the longer stories feature main characters that bare resemblance to Yukio Okumura in Blue Exorcist. The best example of this is Yoshio Fujiko in Astronerd who I originally mistook for Yukio when first seeing the promotional image for the collection, the two aren’t quite the same but they may as well be brothers nonetheless. Even going as far back as Me and the Rabbit we have the perfect example of Yukio in Taira Futamura who has a knack for giving medical help and is good at school like Yukio is. Despite the many examples of Yukio found throughout Time Killers, none of them really make a difference to the enjoyment you’ll get from the stories as they’re all different enough not to feel like clones of one another. Almost sadly there really aren’t that many examples of characters like Rin Okumura, except for in The Miyama-Uguisu Mansion Incident, which is to be expected all things considered. Kazue’s stories range from being very fantasy heavy settings, to ones which are a little more realistic and set in our world. Whatever world we’re in the stories are always a great deal of fun and filled with so much love and passion on Kazue’s part, you can feel how much effort she has put into each story and how much she loves what she does. 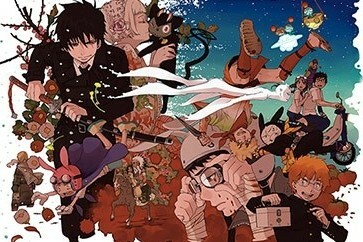 Even those who may not be fond of Blue Exorcist are sure to find something they like among Kazue’s work, as she really has done a bit of everything when it comes to fantasy stories. Viz Media have given Time Killers the release it deserves, with a glossy finish to the cover and every page inside. A number of colour pages are scattered throughout and a few of the stories are presented in full colour, which is a joy to behold. The book comes in at 235 pages, includes a pull out poster, and is a little taller in height than your average manga release, but again Viz have given it everything it deserves at a reasonable price leaving me with really no faults at all to point out with their work here. While Viz are offering the title digitally (in the US only currently), it’s well worth getting in print rather than digital considering the treatment Viz have given it. In the final few pages of Time Killers, Kazue comments that she hopes this book becomes your time killer, hence the title. She picked the perfect name for the collection as Time Killers is most certainly a wonderful time killer and well worth picking up. Time Killers can be bought digitally (US only currently) or in print right now thanks to Viz Media.